BLINEX FILTER COAT PVT LTD MUMBAI manufactures porous hydrophobic PTFE membranes in various standard forms and also performs R&D for specific applications. 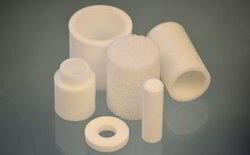 We supply our materials in sheets, rolls, tubing, and discs. We also die cut, heat seal, and manufacture to customer requirements. - Cellulose / Polypropylene / Polyester PTFE Pleated Membrane. As Per Requirement - 24 to 30 rs. Offering a wide range of Water filter Candles. 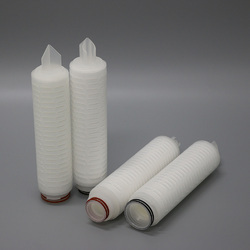 Low Height Ceramic Water Filter Candles give more clean water and higher rate of filtration. Suitable for all Stainless Steel Water Filters. Very useful in rural areas without electricity and with contaminated drinking water. Owing to the rich industrial experience and expertise in this business, we are engaged in providing Water Purifier Candle. With the help of modern infrastructure, efficient workforce and latest machineries we manufacture Ceramic Water Filter Candle. These are made from good quality raw materials and have a long life. They are durable and specially designed to purify water and keep it fresh. We offer our Ceramic Candles at market leading rates.